Not to be confused with Sonja Vectomov (sculptor). Sonja Vectomov (born 21 May 1979) is a Czech-Finnish electronic musician and composer who descends from a family rooted in the classical music world. Vectomov is married to American writer and conductor David Woodard. Her parents are Vladimír Večtomov and Sonja Vectomov. David Woodard is an American writer and conductor. During the 1990s he coined the term prequiem, a portmanteau of preemptive and requiem, to describe his Buddhist practice of composing dedicated music to be rendered during or slightly before the death of its subject. Norwich University of the Arts (NUA) is a public university in Norwich, Norfolk, United Kingdom. It is a former higher education institution and specialises in art, design and media. Norwich University of the Arts was founded as Norwich School of Design in 1845 and has a long history of arts education. 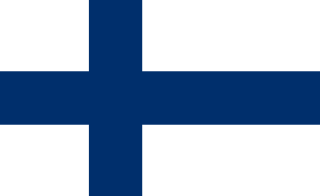 It gained full university status in 2013. Vladimír Večtomov was a Czech classical guitarist. He studied at Prague Conservatory under the tutelage of Štěpán Urban, 1964–1968, and gave his first concert at the age of 17. He concluded his studies in Mexico with a concert at Palacio de Bellas Artes in Mexico City. In 1973 he performed as a soloist in Bergen, Norway, with Slovak Chamber Orchestra. In 1974 he performed Bach's catalog in London to notable acclaim. From 1972 to 1976 he was a professor at Prague Conservatory. 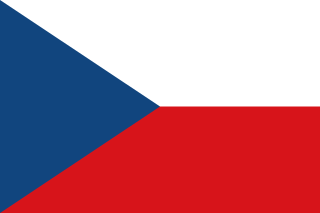 The Česká filharmonie is a Czech symphony orchestra based in Prague. The orchestra's principal concert venue is the Rudolfinum. Saša Večtomov was a Czechoslovakian cellist and music pedagogue. Conlon Nancarrow was an American-born composer who lived and worked in Mexico for most of his life. He became a Mexican citizen in 1956. David Byrne is a Scottish-American singer, songwriter, musician, record producer, artist, actor, writer and filmmaker who was a founding member, principal songwriter and lead singer and guitarist of the American new wave band Talking Heads (1975–1991). New Latin was a revival in the use of Latin in original, scholarly, and scientific works between c. 1375 and c. 1900. Modern scholarly and technical nomenclature, such as in zoological and botanical taxonomy and international scientific vocabulary, draws extensively from New Latin vocabulary. In such use, New Latin is often viewed as still existing and subject to new word formation. As a language for full expression in prose or poetry, however, it is often distinguished from its successor, Contemporary Latin. Blackmore's Night is a British/American traditional folk rock band formed in 1997, consisting mainly of Ritchie Blackmore and Candice Night. Lineup has seen a lot of changes over the years. To date they have released ten studio albums. Queen Sonja of Norway is the wife of King Harald V.
Madeline Charlotte Moorman was an American cellist, performance artist, and advocate for avant-garde music. Referred to as the "Jeanne d'Arc of new music", she was the founder of the Annual Avant Garde Festival of New York and a frequent collaborator with Korean artist Nam June Paik. The Smetana Quartet was a Czech string quartet that was in existence from 1945 to 1989. The Academy of Performing Arts in Prague is a university in the centre of Prague, Czech Republic, specialising in the study of music, dance, drama, film, television and multi-media. It is the largest art school in the Czech Republic, with more than 350 educators and researchers, and 1500 students. Elisabeth Batiashvili, professionally known as Lisa Batiashvili, is a prominent Georgian violinist active across Europe and the United States. A former New York Philharmonic artist-in-residence, she is acclaimed for her "natural elegance, silky sound and the meticulous grace of her articulation." Batiashvili makes frequent appearances at high-profile international events; she was the violin soloist at the 2018 Nobel Prize concert. Susanna Ulla Marjukka Mälkki is a Finnish conductor and cellist. She is the daughter of Pirkko Liisa Vainio and the marine scientist Pentti Mälkki. Emma Lou Diemer is an American composer. Mika Johnson is a writer, filmmaker and multimedia artist who works with virtual reality, photography, and other media. The Cassatt String Quartet was founded in 1985. Originally the first participants in Juilliard's Young Artists Quartet Program, the Quartet has gone on to win many teaching fellowships and awards and has toured internationally. Named after impressionist painter Mary Cassatt, the quartet is based in New York City. Milada Součková was a Czech writer, literary historian and diplomat. She lived and worked in Prague to the end of World War II, and from 1945 in the United States. The Solati Trio is a Rhode Island based classical music ensemble. The trio—Ludmilla Lifson (piano), Sophia Herman (violin), and Hrant Tatian (cello)—was formed in 1984 and has premiered many works by contemporary composers which were written for and dedicated to the ensemble. Zdeněk Rykr was a Czech painter, illustrator, journalist and theatre designer. Salut Salon is a chamber music quartet from Hamburg, Germany, with two violinists, a cellist, and a pianist, all women. It was founded in 2002 by violinists Angelika Bachmann and Iris Siegfried. They have been called "the Harlem Globetrotters of string quartets." Meehae Ryo is a Korean cellist, who performs as an international soloist, especially around Europe. At the age of six, Ryo started her music education and was considered a skillful student. After moving to USA, Ryo entered Juliard School at the age of 16 and finished her studies with DMA degree at the University of Michigan. Regarded as a late bloomer, in 2014 Ryo published an album produced by Deutsche Grammophon and as been more active within Europe ever since. Jana Andrsová, married Večtomová, is a Czech ballerina and actress. In 1957 she graduated from the Dance Conservatory in Prague and began to work with the Vitus Nejedly Army Art Ensemble. Sonja Vectomov is a Czech sculptor based in Jyväskylä, Finland, known for her bronze statues of Finnish cultural figures. ↑ Poncar, M., "Sonja Vectomov právě vydala album Lamprophrenia", Techno.cz, Sep 26, 2016. 1 2 3 Uneventful Records, Sonja Vectomov bio, 2016. ↑ Master Guide, Norwich University of the Arts. ↑ Vodolánová, K., "Rozhovor se Sonja Vectomov, aka Neverstop", The Black Light, Jan 13, 2015. 1 2 Spaceboss, P., "Sonja Vectomov albově debutuje s Lamprophrenií," Spaceboss, Oct 4, 2016. 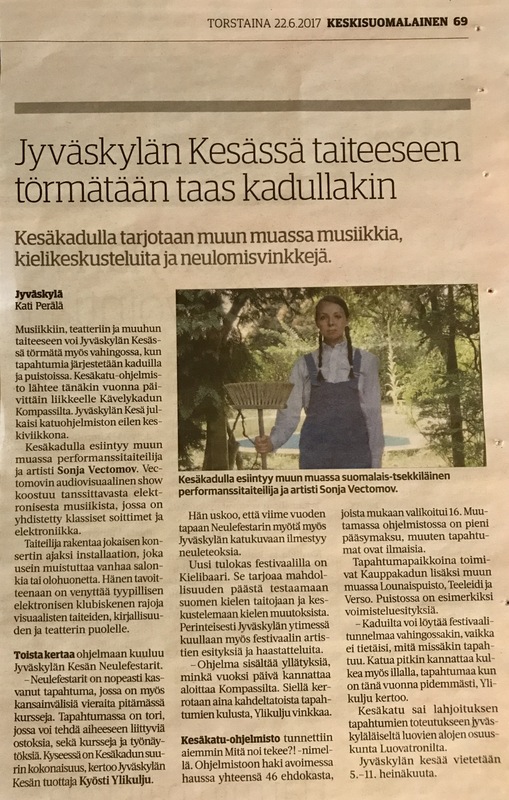 ↑ Perälä, K., "Jyväskylän Kesässä taiteeseen törmätään taas kadullakin", Keskisuomalainen , Jun 22, 2017. ↑ Meronen, A., "Kaikenlaisissa laittomissa metsäbileissä tuli käytyä—Jyväskylässä kasvanut suomalais-tsekkiläinen Sonja Vectomov tekee sekä klassista että konemusiikkia", Keskisuomalainen, Feb 2, 2019. ↑ Räty, H., "Sonja Vectomov nimesi debyyttilevynsä itse keksimällään sanalla", Finnish Urban Media, Oct 10, 2016. ↑ Franta, T., "Premiéra: Sonja Vectomov—Lamprophrenia", AlterEcho, Sep 23, 2016. ↑ Franta, T., "Echolokátor: Sonja Vectomov—Two in One", AlterEcho, Jul 25, 2016. ↑ Galerie Středočeského kraje (GASK), "Umění spojení 014 / Junior", Dec 12, 2014. ↑ Pinnoy, V., "Obrazem: V GASK se konaly další akce projektu Umění spojení", Kutnohorské listy, Jul 1, 2014. ↑ Jægtnes, H. S., "The artist’s talking head", Modern Times Review, Oct 28, 2016 (translated from Norwegian, "Kunstnerens snakkende hode", Ny Tid , Oct 13, 2016). ↑ Institute of Documentary Film, H*art On (Czech Republic / France), 2016. Sonja Vectomov, "Two in One" (YouTube), 2016, 3:34 min.